Perfect location in dt Ottawa. Room was super clean, wifi was good. Amazing location, beautiful rooms and it was nice to have the starbucks attached to the hotel. Friendly staff. Pool and hot tub were a bit too chilly. We had a great stay at the Cartier Place Suite Hotel. The hotel itself was clean and comfortable, though quite basic. Having twin beds in the second bedroom was very helpful. The kids loved having access to a pool. Love the design concept. Location was the best. The parking option was expansive. Close to Byward market and city center. I would stay there again. Great location. Friendly and helpful front desk. Wish breakfast and parking was included. Pillows were also too small, not very comfortable. Otherwise, my stay was pleasant. I love the location (minutes from The Byward Market, House of Commons, Convention Center, Rideau Centre, and lots of other shopping and activity. Location is good as hotel is within walking distance of Capital Hill, Bank Street, City Hall, Rideau Canal, Rideau Centre , National Arts Centre etc. 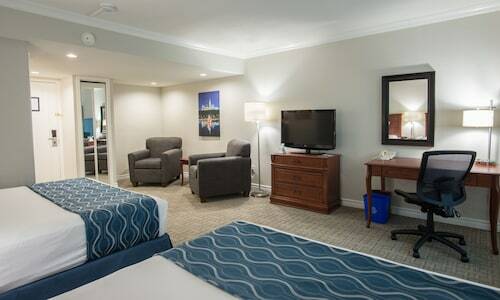 The hotel is close to Parliament and the War Museum, and within walking distance of Byward Market, Rideau Centre, and many other important spots in Ottawa. My daughter and I were able to get to the Tomb of the Unknown Soldier (on several occasions), the Byward Market, the Rideau Centre, Parliament Hill, the Royal Canadian Mint and the National Gallery all with about a 25-30 minute walk. Rideau Centre is located in a walkable area of Ottawa known for its array of dining options and sporting events. The neighborhood is home to 65 hotels and other accommodations, so you can find something that works for your stay. Fairmont Chateau Laurier: With a stay at this 4.5-star hotel, guests can enjoy access to 3 restaurants and an indoor pool, along with pillowtop beds. Our customers like its dining options and central location. 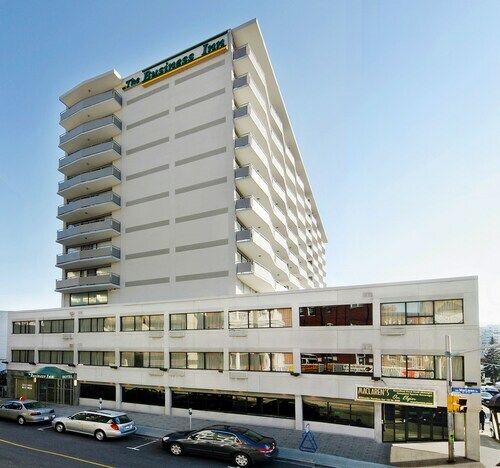 Lord Elgin Hotel: This 4-star hotel features a restaurant, an indoor pool, and free WiFi. 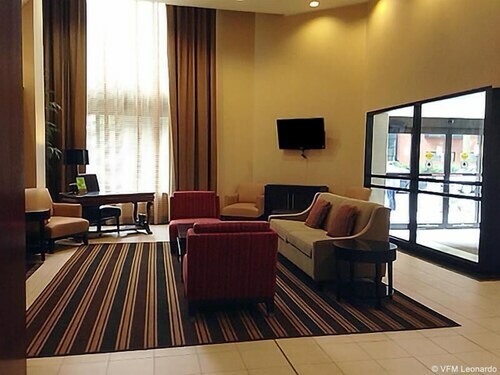 It's a favorite with Expedia travelers for its central location and clean, comfortable rooms. 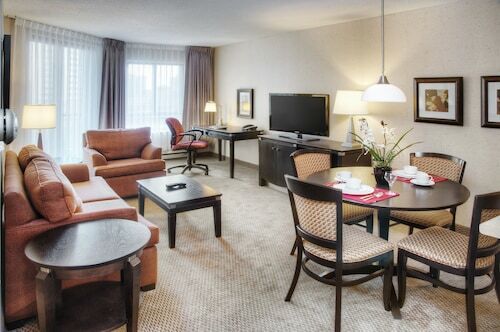 Novotel Ottawa City Centre: With a stay at this 3.5-star hotel, guests can enjoy access to a restaurant and an indoor pool, along with an in-room sofa bed. It's a favorite with Expedia travelers for its dining options and bar. Now that you've visited Rideau Centre, you can explore everything there is to see and do within a few miles of the area. You'll want to browse the collections at National Gallery of Canada, Museum of Nature, and Canadian Museum of History. Explore notable local landmarks like Rideau Canal, National War Memorial, and Confederation Square. Spend some time wandering around Confederation Park, Major's Hill Park, and Strathcona Park. If you want to see more of the surrounding area, you might plan a visit to Byward Market Square and University of Ottawa. Spend some time checking out Parliament Hill, which is 0.4 mi (0.7 km) from Rideau Centre, or make a stop by Carleton University, located 2.7 mi (4.3 km) away.